​Large parade puppets have an extensive history. We see them in history books from around the globe either serving in a serious capacity or bringing joy to an occasion! Whether honoring our military and veterans as with *Patriots and Paws in Southern California or for family fun events like Harvest Festivals around Orange County, CA., we delight ​in doing both! 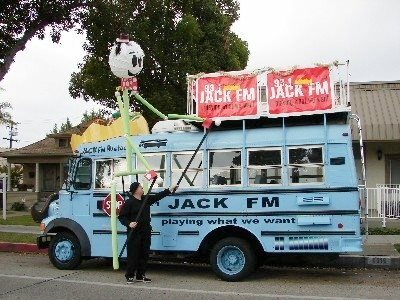 ​Designed and built by us, patriotic entertainer, Yankee Noodle is a giant 14 foot tall animated parade puppet that stands above the rest! His simple foam pool noodle design successfully draws attention to your event causing a wave of smiles everywhere you turn! ​Some think he is "Uncle Sam!" Yankee Noodle is just the touch you need to set your special occasion apart from the rest! FREE P/R! Your guests will take photos and share them online! We're Green! We do not need a generator, booth, or any electricity! We are self-contained. A business tax-deduction for you! LAF Puppets is a 501(c)(3) entity! 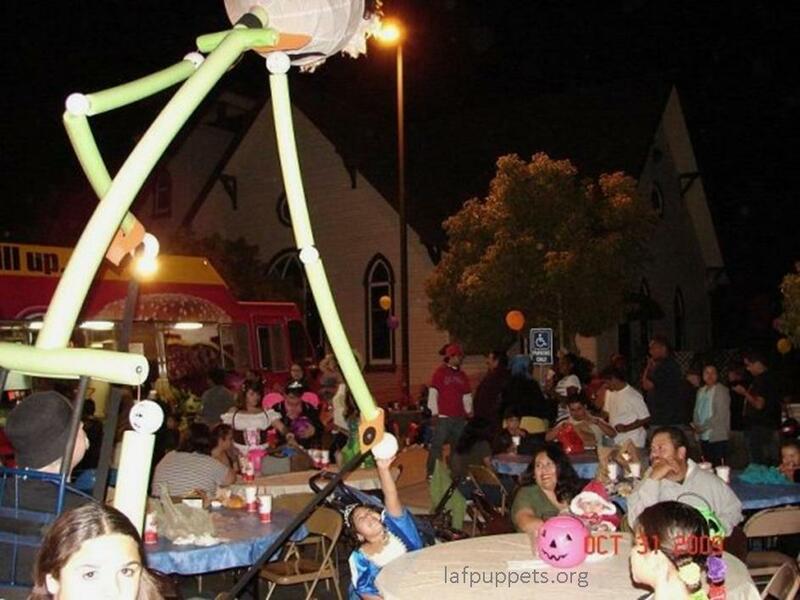 WE SUPPORT OUR LOCAL OC VETERANS AND MILITARY BY PROVIDING OUR BIG PUPPET AT DISCOUNT! Contact us ! BOOK US! Your guests will love our most impressive 14 foot tall, lovable, eco-friendly characters! Giant Parade Puppets for family friendly events! 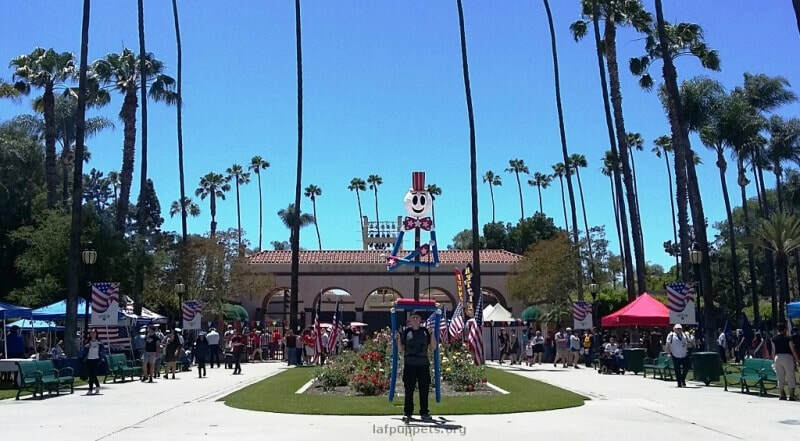 Yankee Noodle at the 2018 23rd Annual Anaheim Flag Day, a musical tribute to Old Glory at Pearson Park. 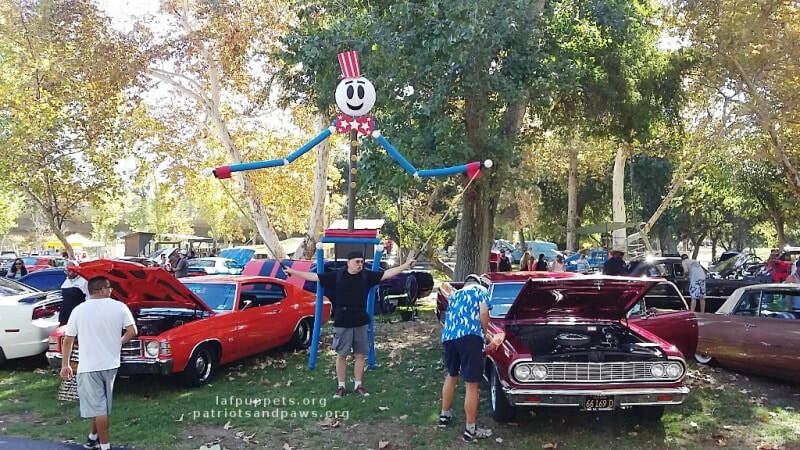 Giant patriotic puppet poses with Veterans at an awareness event! Big Puppet Handsome Hank poses with Loara High School students. Big patriotic parade puppet and Bruce taking a break. Large green parade puppet Hank gives high-fives! 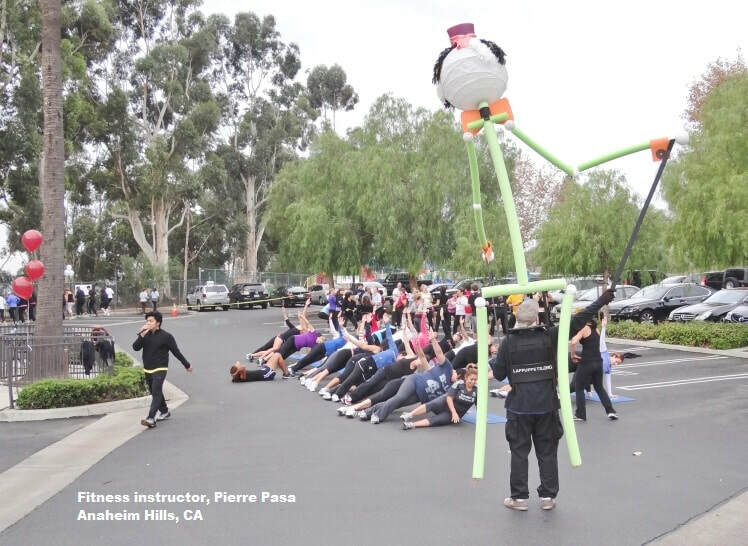 Puppet Hank with Fitness instructor, Pierre Pasa, at his Thanksgiving Boot Camp.